Do I need to be an expert on cryptocurrency or trading? No. The algorithms are specifically designed to have traffic-signal simplicity. You simply need to buy, hold, or sell. This is more about taking advantage of the dramatic swings in cryptocurrency than it is the technology behind them. 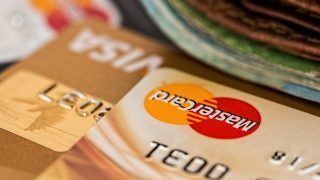 How much money should I use to trade? This is your decision and each member is responsible for his or her own losses and gains. A general recommendation is to risk no more than you are comfortable losing. Individuals may also consider a portfolio approach with a percentage for holding and a percentage for trading. What exchange should I use for trading? You should choose an exchange based on trust, cost, volume, and other factors. The Crypto-ML team uses Coinbase Pro (formerly GDAX) (https://pro.coinbase.com/). This exchange is provided by Coinbase, but built for more active investors and traders. If you already have a Coinbase account, your same login credentials will work on Coinbase Pro. * If you register with that link and buy or sell more than $100 worth of coins, both you and Crypto-ML will receive $10 in Bitcoin as a bonus. How often are BUY and SELL triggers generated? 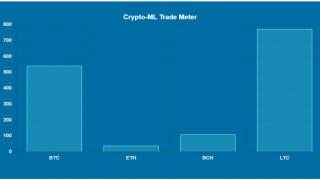 Crypto-ML has historically opened an average of 12 trades per year (24 buy/sell signals). Since the models are continuously being optimized, the frequency of triggers may change. Auto-ML is a feature for long (buying) traders that provides continuous monitoring of the market, issuing trade alerts at any time of day. Auto-ML is available as part of your Crypto-ML subscription. Are short sell signals available? Yes, a machine learning model is optimized for profiting from short selling Bitcoin. Learn more about Short Sell Trade Alerts. Where can I select my trade alert notification settings? You can set and change your notification settings at any time using the Notification Selection page. To find a summary of the notifications offered, review Crypto-ML Trade Alert Descriptions. How long are positions kept open? In 2016 and 2017, the average trade was open 23 days. While this will vary, Crypto-ML is not designed to be an intra-day or high-frequency trading system. Crypto-ML seeks to optimize profits, which includes minimizing costs and latency impacts. How is Crypto-ML better than buy-and-hold? Buy-and-hold never locks in profits. 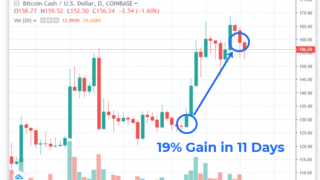 So even if trading breaks even with buy-and-hold, trading locks in your profits. Though you may have experienced exceptional run-ups by holding, if the markets drop significantly, those profits you experienced were never realized. Trading turns paper into actual profits. In this way, Crypto-ML eliminates the stress of holding. 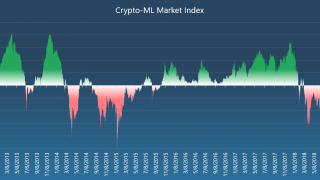 In addition to capturing profits and reducing stress, Crypto-ML has hugely outperformed buy-and-hold. 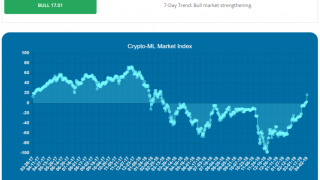 See Crypto-ML trade history for details. How is Crypto-ML better than traditional technical indicators? Traditional technical indicators generally provide mediocre results, particularly in hectic markets (like crypto). Additionally, they are subject to interpretation, conflict with other indicators, and lag rather than predict. 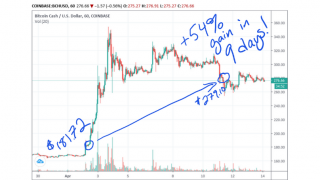 Does Crypto-ML trigger losing trades? Yes. Some trades may result in losses. However, the average historical gain on winning trades is 52.93%, whereas the average loss on losing trades is 5.46%*. Can I view Crypto-ML trade history? Yes, trade history is here. What factors and data do the Crypto-ML models utilize? The Crypto-ML models are proprietary and made up of highly-complex datasets and prediction pathways. The crypto markets undergo constant change and flux. Accordingly, the Crypto-ML models are trained and evaluated every day. Machine learning is a continuous process. Bitcoin, Ethereum, Bitcoin Cash, and Litecoin are available. New crypto will be added according to demand, statistical evaluation, and governance. What are the limitations of Crypto-ML? Any tool used to predict future outcomes relies on past data. Changes in market conditions, including, but not limited to, micro, macro, and global conditions, may invalidate existing models or cause exceptions for one or more days. Past performance is not an indication of future performance. Crypto-ML is to be used for informational purposes only. Each individual has unique risk tolerances and is responsible for their own investment decisions. Crypto-ML provides no warranties of any kind. Is there a video demo of Crypto-ML? How do I join Crypto-ML? Crypto-ML early access is currently $19 per month. What do I do after joining? Browse the Getting Started Guide. You may cancel at any time. Crypto-ML is based on a month-to-month membership with no commitment. You can cancel your account from the membership site. How long is the early access waitlist? New registrants may expect invites within approximately 3-5 days of requesting access. Requests may not be approved. Currently Crypto-ML does not provide an API for notification integration, however, this is being considered for future development. Who is the team behind Crypto-ML? The team holds leadership-level experience in the finance and software engineering fields. The team’s interest in prediction technologies originated during post-graduate work in statistical analysis. Why is Crypto-ML being offered as a service? We are entrepreneurs by nature and look to seek ways to add value, develop new cash flows, and gain input from a diverse group of people.